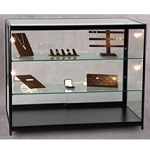 Your high-end products will look exquisite in this Revolving Acrylic Hexagon Display. 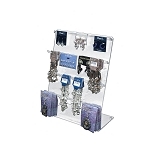 A camlock and keys come with this display to provide your merchandise an extra level of security. Three shelves in this retail counter unit will allow you to take advantage of vertical space. Clear acrylic construction offers the durability and strength you need while retaining an elegant look. 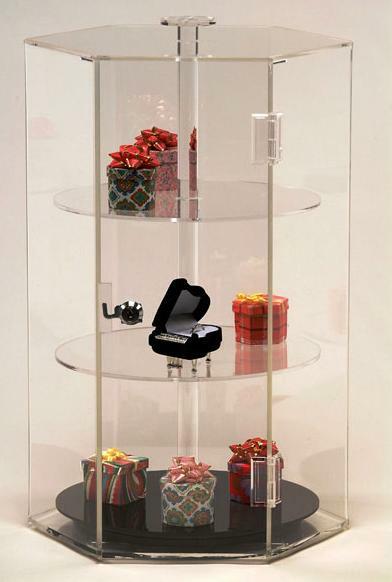 This counter jewelry case is sure to draw a crowd. Order your hexagon jewelry case today.